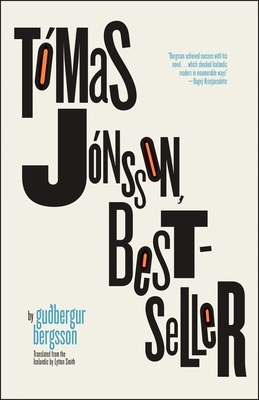 A retired, senile bank clerk confined to his basement apartment, T mas J nsson decides that, since memoirs are all the rage, he's going to write his own--a sure bestseller--that will also right the wrongs of contemporary Icelandic society. Egoistic, cranky, and digressive, T mas blasts away while relating pick-up techniques, meditations on chamber pot use, ways to assign monetary value to noise pollution, and much more. His rants parody and subvert the idea of the memoir--something that's as relevant today in our memoir-obsessed society as it was when the novel was first published. Considered by many to be the 'Icelandic Ulysses' for its wordplay, neologisms, structural upheaval, and reinvention of what's possible in Icelandic writing, T mas J nsson, Bestseller was a bestseller, heralding a new age of Icelandic literature. Gu bergur Bergsson is the author of twenty-one books, from novels to children's literature, and a translator from Spanish into Icelandic. He has received the Icelandic Literary Prize and the Nordic Prize. Lytton Smith is the author of The All-Purpose Magical Tent, and has translated works from Bragi lafsson, J n Gnarr, and Kristin marsd ttir, among others.